Qualcomm has announced the winners of its Innovation Fellowship India Program for the academic year 2018-19. The program is created by Qualcomm India’s R&D team and it focuses on Masters and PhD students from top institutes across the country. The winners, up to two students and sponsoring faculty advisors, will receive an award of Rs 10 lakhs each, along with an assignment of Qualcomm India researchers as mentors to facilitate close interaction with Qualcomm India Research. 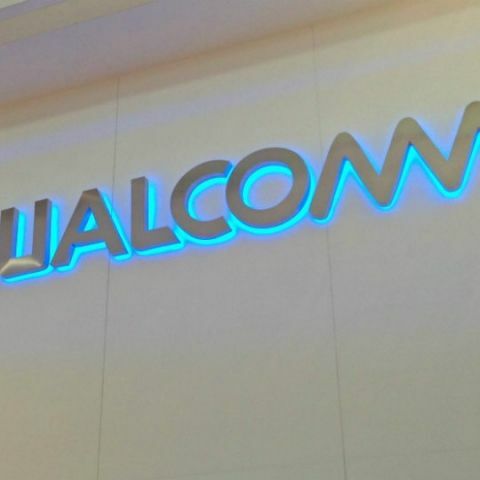 Qualcomm Incorporated announced eight winners of the Qualcomm Innovation Fellowship (QIF) program in India for the academic year 2018-19. QIF, a program created by Qualcomm India’s R&D team, focuses on Masters and PhD students from top institutes across the country to cultivate new and forward-thinking ideas. The winners - up to two students and sponsoring faculty advisor(s) - will receive an award of INR 10 lakhs (approx. $15,000) each, plus assignment of Qualcomm India researchers as mentors to facilitate close interaction with Qualcomm India Research. The QIF committee selected Avisek Lahiri and Abhinav Agarwalla recommended by Prof. Prabir K Biswas and Prof. Pabitra Mitra from IIT-Kharagpur, for their proposal on “Domain Adversarial Networks for Bridging Cross Domain Semantic Gaps in Computer Vision” as the Second Year Fellowship Winner for the academic year 2018. The Qualcomm Innovation Fellowship (QIF), India Program was launched in 2016 with an aim to engage with the academic community to encourage and support advanced engineering research; this included predominantly Graduate, Post Graduate and PhD, students from top institutes across the country. This annual program works to amplify student knowledge and foster a culture of innovation and invention amongst the academic community. QIF invests in University research students, engineering schools, professors and students to advance their research and accelerate the development of key technologies. can u suggest any device which can use for program on ICs?